A few weeks ago, it was rumored that HTC were being considered by Google as one of the manufacturers to come up with the next Nexus smartphones. The current generation Nexus phones are sold in two variants – Nexus 5X and Nexus 6P. Both these phones target different set of customers. Google seem to be keen on continuing this trend and HTC was reportedly picked up as the manufacturer for one of the variants. Specifications of the HTC device, which would replace the Nexus 5X, has just leaked online and it promises to offer a substantial upgrade over the current generation. A small disappointment may be that the screen size has been downgraded to 5.0 inches from the earlier 5.2 inches. However, HTC seems to have retained the same 1080p resolution. Performance will get a major upgrade since the phone may come with 4 GB of RAM, which is a 100% increase over the Nexus 5X’s 2 GB of RAM. Offering such a high amount of RAM makes the device perfect to run the 64 bit apps on the android operating system. 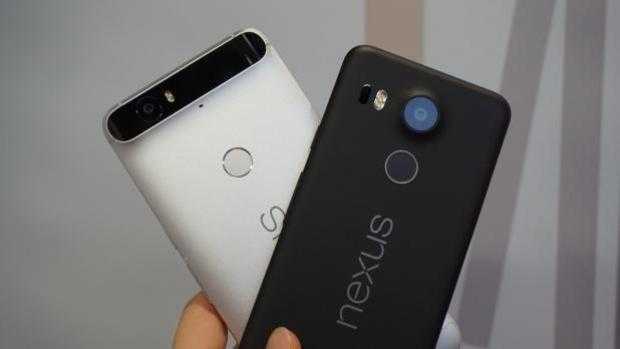 Being a Nexus device, it will receive the updates to the latest versions much sooner than other smartphones. The presence of 4 GB of RAM is a surefire way to ensure that the phone will continue to receive updates for several years. Camera does not seem to have received a major update – at least from the superficial specifications – since the Nexus Sailfish, as it is known, will come with a 12-megapixel rear camera and an eight-megapixel front camera. In terms of the rear camera, there does not seem to be an increase in megapixel count but it is not the case with the front camera. The existing Nexus 5X comes with a five-megapixel front facing camera. Many smartphones are doing away with the 16 GB internal storage option and this even applies to the mid-range devices. Hence, it is not surprising to see the Nexus Sailfish rumored to have only the 32 GB option as of now. The Nexus 5X did not support memory expansion through microSD cards, but it would be a major surprise to see the Nexus Sailfish offer the same. Memory card slots have been a popular way to offer users the ability to expand the memory at a later stage in the phone’s cycle. The Nexus Sailfish is expected to come with the same 2700 mAh battery as the predecessor.